The Story: Every bird has an egg but Duck. When Duck finds a huge egg, he thinks it is the best and most beautiful egg ever. Eventually all the other bird babies hatch and the tension rises as to what will be in Duck’s big and spotted egg. A funny surprise is underway as all the birds wait together and Duck keeps knitting away to make time pass more quickly. Emily Gravett’s book is extremely funny and has a great twist at the end. What I loved a lot and so did my little daughter when having it read to her, is reading out all the extra bird voices and in fact making them sound like the birds. We ended up squeaking and squawking all through the book. There is also lots of additional information due to the extra text on birds’ personalities, which adds an extra depth to the story. The story is simple and so wonderful for kids at a very young age. Another lovely part of the book is the layout for when the birds hatch. It is so cleverly done, you really can see the tension rising until it is finally revealed what is in Duck’s egg … But I will not give away that bit. You have to read and find out for yourself. 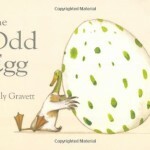 Emily Gravett has also some other lovely books you will surely find in a book shop near you. Maria lives with her family in a small town in southern Germany. She originally studied animation and worked on various award winning projects including Julia Donaldson’s ‘The Gruffalo’. 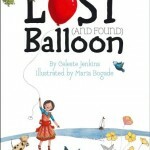 In 2011 she started illustrating children’s books and now writes and illustrates her own picture books. A selection of Maria’s books are shown below. We recommended Wee Granny’s Magic Bag last year. Ben’s Flying Flowers has been awarded the Nautilus Book Silver Award. Thank you so much for your picture book recommendation Maria, it is lovely to hear some picture book recommendations from authors and illustrators. I don’t know The Odd Egg and now I’m very curious to know what will hatch! I love Emily Gravett – all her books are hits. Thanks for contributing this post to the Carnival of Children’s Literature. I’ve not heard of this book, but look forward to reading it now! 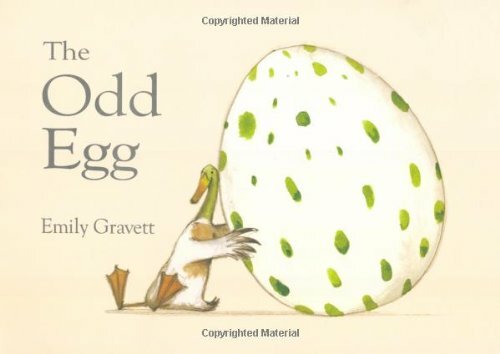 I don’t know the book either but I have heard lots of people talk about how great Emily Gravett’s books are, it’s on my wishlist now too!